Later this month the results of a voluntary donation project – in which visitors and National Park users gifted small amounts of money – will be unveiled in Llanberis. Gwynedd Watkin, Caernarfonshire’s county executive at the Farmers Union of Wales , said a permit system already operates in other parts of the world. “Last year I joined a group travelling to Machu Picchu, the ancient Incan city in the Andes Mountains,” said Gwynedd, who also sits on the Snowdon Partnership, a body set up to tackle the problems of success on Wales’ highest peak. “Every member of the group was required to pay for a permit, which the Peruvian authorities strictly enforced. “It’s a system that works elsewhere to protects popular but sensitive environments. Initially a permit system could be applied to group activities, such as mass participation running events, Mr Watkin suggested. Only if this failed to stem numbers would the scheme need to be rolled out to all users. Quotas could be introduced as a last resort. An online permit booking system would need policing and this would perhaps be a job for the park wardens, said Mr Watkin. “During their patrols they could carry out random checks and issue fines to anyone without a permit,” he said. The idea has been aired at Snowdon Partnership meetings but not action has been taken to date. Such a scheme, if implemented, would be a money-spinner for the National Park, helping it to catch up with footpath maintenance. In turn this would encourage walkers to stick to paths and not venture on to farmland or disturb livestock, said Mr Watkin. 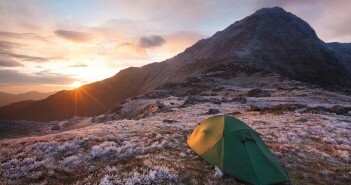 Snowdon’s footpaths are one of the projects set to benefit from the Snowdonia Giving (Rhodd Eryri) initiative. 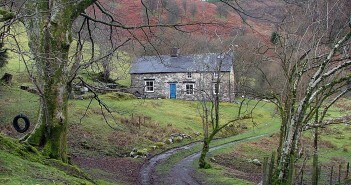 Another is a planned 42km circular route around the base of Snowdon linking several existing paths and tracks. On January 23, a meeting in Llanberis will hear how much has been raised during the first six months of the pilot project, launched by innovation body Arloesi Gwynedd Wledig. So far 28 tourism businesses have signed up, offering visitors the chance to contribute either during the booking process, or via donation envelopes left in rooms. Sporting competitors in events run by Always Aim High, such as the Snowdonia Marathon , are also asked if they want to make a donation, from £1 upwards. A target has been set of enlisting 50 businesses, and talks are ongoing with ventures outside the park, including and Festival No 6 and GreenWood Forest Park , the latter having made a one-off donation. Project officer Rhian Hughes said: “We have been very pleased with the amount of money raised in such a short time. 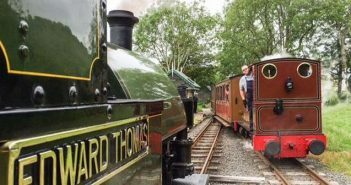 “At the Royal Victoria Hotel in Llanberis for example, only two guests have declined to contribute since the scheme was launched. The Snowdonia Giving progress meeting is at the Royal Victoria Hotel, Llanberis , on January 23, 7pm-8.30pm. 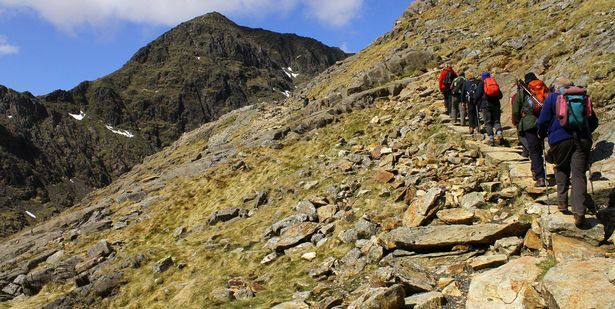 Since 2007 visitor numbers on Snowdon have more than doubled and the mountain now attracts more footfall than Ben Nevis, Scafell Pike, Mont Blanc and Everest combined. The sheer volume of walkers, runners and climbers has put a strain on the local infrastructure, added to litter problems and incensed farmers , who must grapple with dogs, erosion and blocked gates. 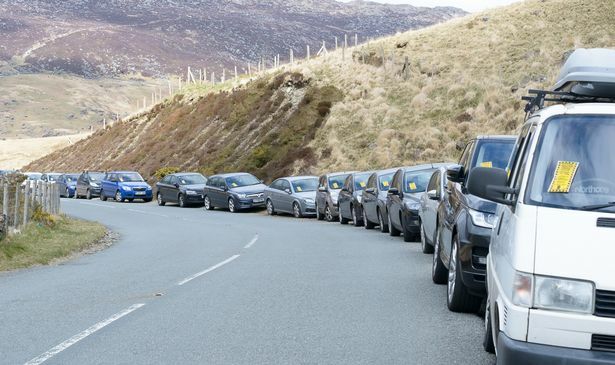 Parking is another issue, with Snowdon’s Pen y Pass car park often full during summer, leading to overspill on surrounding routes and villages.